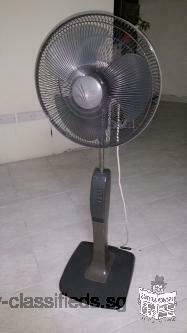 Pedestal Mitsubishi fan in good working condition. S$15. Cash and collect at Yew Tee. ELGI brand ULTRA GRINDER FOR SALE S$125 Stone grinder used to grind grains to make various batter. S$125 Pick up at Clementi MRT. Call if interested. I have two joyoung soy milk maker for sale. Working condition. Take one s$60 take 2 $100 First come first serve. Cash & carry. Pls sms me.